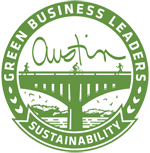 When you apply the engineering design process to solve sustainability challenges, the possibilities are endless! Ms. Teresa Broadnax quickly discovered the power of Eco-Audits and human-centered design when she became an EcoRise teacher in 2015. 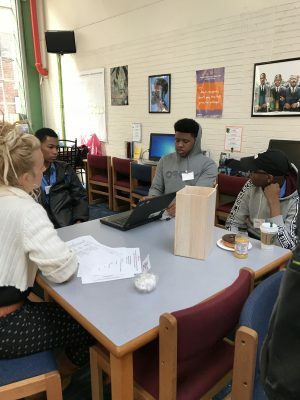 As one of EcoRise’s early adopters in Washington, D.C., Ms. Broadnax was inspired by how engaged her students were as they collected data about natural resource use in their school community, and how they enthusiastically worked together to solve problems. With a background in Mechanical Engineering, Ms. Broadnax has herself been a dedicated STEM student since high school. 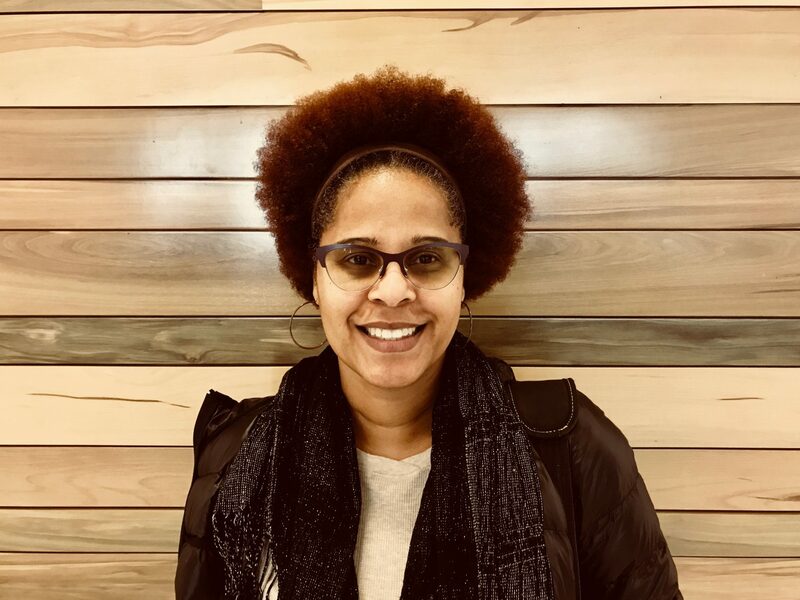 Currently, Ms. Broadnax is a STEM educator at Phelps Architecture, Construction and Engineering (ACE) High School in D.C. Public Schools, where she teaches Principles of Engineering, Aerospace Engineering, Civil Engineering, and Architecture and Engineering Design and Development. Over the last four years, Ms. Broadnax has supported her engineering students through Water, Food, Waste, and Public Space Eco-Audits, always asking her students to consider the question of “What is the problem you are trying to solve?” She empowers her students to innovate and get creative with the supplies they already have in the classroom, while also encouraging them to turn to community partners to provide expertise and feedback and help make their ideas a reality. In 2016–17, three of Ms. Broadnax’s students applied for the EcoRise Student Innovation Fund and were awarded a grant to purchase materials for a compost system that would reduce the amount of food waste that ends up in the landfill. Engineering students prepare to showcase their results. 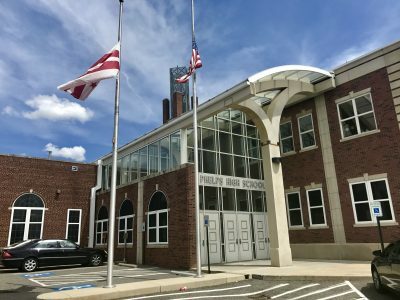 We recently had the opportunity to sit down with Ms. Broadnax and visit with her about her experience integrating Engineering and Sustainability, about allowing her students to take the lead, and to gather words of advice for new EcoRise teachers. Q: As an Engineering teacher, what do you like about bringing EcoRIse into your classroom? A: I like that everything you need is right there. Everything—including snapshots, a wide range of lessons, presentations, teaching suggestions, discussion prompts, reflection questions, NGSS alignments, rubrics—all of it is right there at my fingertips and I can pull from any part that I need. I love that it is cross-curricular and that there are ELA, Science, Math, Social Studies, Art, and other extensions in every lesson. As young engineers, my students have to come up with working products along with an understanding of the product lifecycle. I make sure my students are considering all along what happens with their product at the end of their project. Who will continue to take care of making sure it stays in use? How will you educate others to keep it going? EcoRise helps them move through all the steps needed to do that and even offers grant money to make their products come to life. Q: What part of our curriculum do you most frequently use? A: I use all of it. All of it! Because the more information I have, the better it will flow. I know that the kids don’t need all of the information, but I do. I allow them to go in and pick out what they need for what they want to do. Working with seniors, I facilitate and guide them versus telling them what to do. They are used to being told what to do, but in this class, it’s up to them to get it done. They are about to graduate and I want to offer them an opportunity to step into ownership with the materials because EcoRise materials make it so easy for the students to take the lead. I witnessed my seniors last year take full ownership of their Water Eco-Audit. I didn’t have to do much or say much, and because the materials are so in depth, I knew how to help supplement them along the way when they needed it. Q: Can you share one of your student’s eco-audit projects with us? A: One year, I had three very motivated seniors who took charge and figured out what they wanted to do. They were inspired by Michelle Obama’s healthy eating initiatives, so they decided to focus on food. Combining different aspects of the Waste and Food Eco-Audits, they surveyed the school and learned that students did not want their cafeteria fruit at lunchtime but by the time fourth period rolled around, everyone was ready to have some food to help boost them through the end of the school day. So they saved all the fruit and vegetables that would have been wasted at lunch and set up a free-food station in our classroom where students could come in and grab some fresh food during fourth period. It eliminated most students turning to chips and other less-nutritious snacks. They were then able to direct any food left over after fourth period to the compost. Q: What did Your students get out of the eco-audit grant process? A: The biggest reward for students was going through the application process and then winning the financial award. That was the best part for them. When EcoRise returned the application with requests to adjust certain parts, it was a great “Ah-ha!” moment for them that allowed them to have an important real-world experience. When they fixed their application, they were proud of their revised work. And when they got the email that their application was approved for a financial award, they were so excited! I was excited for them. It was a very positive experience. Q: What words of advice do you have for new EcoRise teachers? A: Buying into EcoRise is worth it. If you can fit it into your schedule, or if you have support from your school, or if you have students that are interested in STEM, then you will be successful. If you take ownership of getting to know the EcoRise curriculum, the kids will feel that excitement, and they will take ownership of it themselves. Allow them to see the big picture and present all the Eco-Audit options for them so they can pick which one they are interested in doing. Most importantly, don’t hesitate to dive in and learn how to do it right next to your students. Q: How have you been inspired by your students as you witness them go through the Eco-Audit process? A: I am inspired by their will to learn. I am also inspired by the willingness of a few students to take on the challenge, which then inspires others to buy-in to the process, too. I love watching how going through the process of the Eco-Audit pulls the students together. They struggle through it together and then they make sense of it together. It makes them find a way to work as a team. One of the reasons I have been sticking with EcoRise all these years is because it has been successful. It really has! I watch my students own their project and have a blast while doing it. Over the last three years, EcoRise has grown from serving 12 to 170 teachers in the Washington, D.C. area! We are grateful to Teresa for being a pioneer and a leader of sustainability within the community! Please join us on May 31st for our first annual Washington, D.C. Student Innovation Showcase where Teresa’s students will be presenting their impressive work alongside many other K–12 students from the D.C. metro area.